Review: How does the Fitbit Ionic stack up against a Hong Kong millennial's digital demands? Review: How does the Fitbit Ionic measure up to a millennial’s digital demands? 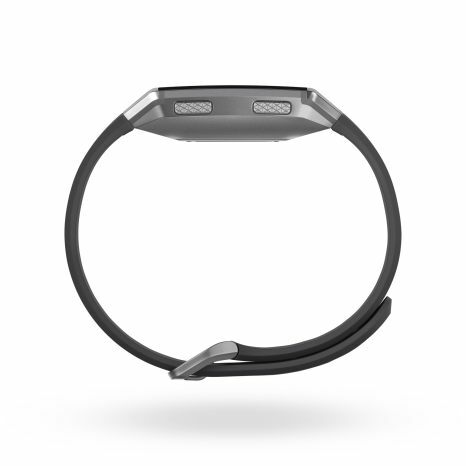 The Ionic can also measure heart rate and calories burnt during workouts. We’re currently at the doorstep of a paradoxical world of phoneless connectivity: with millennials bemoaning their unhealthy phone addictions, aching necks and texter’s thumbs, more and more are relying on smartwatches to keep track of messages and alerts, while keeping phones firmly in purses and pockets for later perusing. Fitbit — despite being the company that led the wave of fitness wearables a decade ago — is playing catch-up when it comes to the smartwatch, only announcing its very first jab at this sector with the Ionic smartwatch in late 2017. Some say it’s one of the strongest contenders yet; this year, it’s set to release the newly announced Versa, a cheaper and slightly smaller, more feminine-friendly smartwatch, which is already available for pre-order in the US. Ahead of this, we took a deep dive into the Ionic’s capabilities. The Fitbit Ionic, featuring leather straps in midnight blue. Claiming to represent the forward-thinking, digital-geared nature of the company, the Ionic takes on a rectangular shaped watch rather than a traditional circular clock face, which slightly echoes the angular shape of its previous Blaze tracker. Following a space age motif the new watch uses aerospace-grade aluminium in its shell, and is available in three, relatively neutral/masculine colours: blue grey and silver, slate blue and burnt orange, and charcoal and graphite grey. Measuring 38.59mm wide and 12.2mm thick, the Ionic’s relatively large face has a clean, simple silhouette, though the bezel from the true edge is still fairly wide. For smaller, female wrists (i.e. mine), the Ionic still gapes prominently from the wrist, but not terribly uncomfortably so — although I did struggle to fit my hand through some jacket and sweater cuffs. It also doesn’t look as discreet and potentially dressy as the previous Charge 2 and Aria trackers. 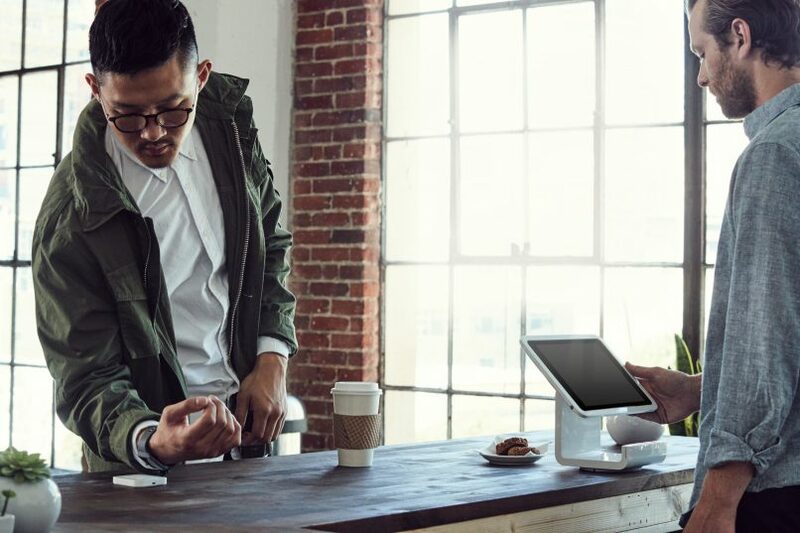 The Ionic now also has a prolonged battery life of five days, which means you don’t have to worry about charging it in the middle of a hectic work week, which is a massive plus. Woman wearing a Fitbit Ionic with desert pink straps. Fitbit’s long-awaited step into smartwatch territory of course comes with some unique new possibilities. To do this, it all starts with functional design: Along the corners of the watch you’ll find little subtle strips of plastic: much like what you’ll find on the back of an iPhone, this is the first smartwatch to utilise nano molding technology to fuse plastic to metal, which forms the antennae for Bluetooth, WiFi and GPS connectivity. Fitbit Ionic — see the subtle plastic antennae on the corners of the watch. This is important as the GPS capability has also improved manifold in this new model, thanks to adopting both GPS and GLONASS (the Russian version) in this tiny machine — it triangulates data from both American and Russian satellite systems to give supposedly industry-leading GPS performance, to track where you’ve gone, including details like elevation, and a precise map of your walk, run or ride. This was the company’s chance to improve their abilities at automation — getting your activity tracker to intuitively know when you’re running or moving about. The Ionic is supposed to be better at this than its predecessors, in knowing exactly when you start your run, pause for a drink or at the stoplight, resume and finish — and even backtracking to the moment you started your run. The Auto Exercise Recognition function is meant to work for all kinds of movement, from jogging to playing sports to swimming, but only kicks in after at least 10 minutes of sustained movement. Meanwhile, the new Run Detect function is meant to automatically track your runs (and walks) with GPS so you can get post-workout details and a map of your route once you sync it to your phone at home. Sad to say, neither of these functions worked while testing it on a night run (using the original not yet upgraded Ionic OS). There’s also been word on how buggy and inaccurate the GPS gets for users whose Run Detect does work. Better to swipe to the exercise app and commence tracking yourself. You can also track swim activity too — with a water resistance of up to 50 metres (so don’t go diving with it) — but I wasn’t able to test this out. 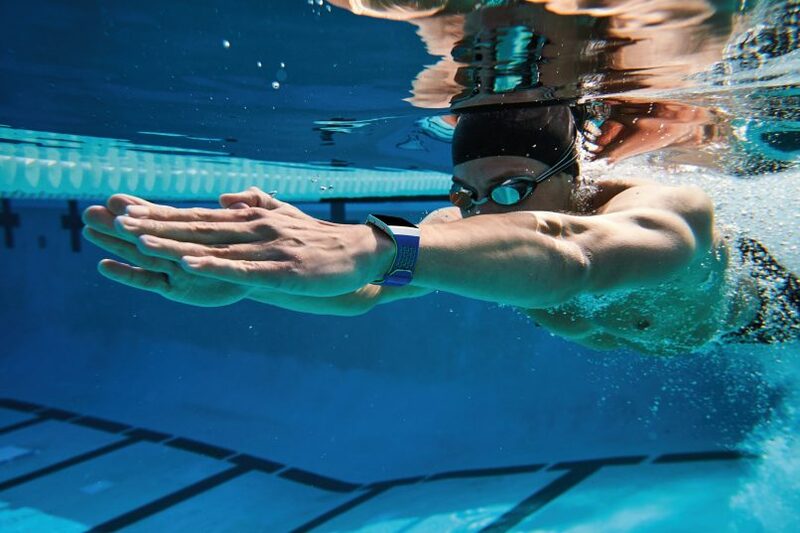 A swimmer wearing the sport band in cobalt and lime. The heart rate sensor has also been enhanced to give greater accuracy during activities such as cycling, intervals and running — and indeed it’s very motivating to glance down at your watch in the middle of a lunchtime Barre class and see it flash “cardio” or “fat burn”, even during your walk back to the office. Two runners donning the Ionic. Speaking of motivation, music is normally the fuel that gets you through a tough workout, so it’s amazing that this smartwatch allows you to transfer your own music from your PC — up to 2.5GB of it, in fact, which translates to about 300 songs. Pairing your smartwatch with Bluetooth headphones (or the new Fitbit Flyers), you can head off on a run and leave your phone at home with no issue. The only hiccup here is that there’s no way to browse and manually pick mp3s from a predetermined file location, and instead loads playlists found on your default media player like iTunes, from which you can then pick and choose songs. And that said, who actually still actively uses their own music library these days? Who doesn’t just stream off Spotify or Apple Music? For music streaming, you can download the Pandora music app for your Ionic, but remember? Pandora doesn’t work in Hong Kong anymore. If you’re feeling a little stagnant, enter the Fitbit Coach: formerly the FitStar app, now integrated into the watch itself. You get to choose from three workouts to start, and reportedly there will be new dynamic workouts offered in 2018 that adapt based on feedback you provide in real-time. No word on that yet. Showing little instructional GIFs of the exercise on your watch, it’s a fun way to pack in a short sweat session wherever you want, though some people might find it an annoyance to have to glance at your watch to see what the next move is. But when you’re away on holiday, away from your attachment to Pure Fitness or GuavaPass or whatever gets you going through the week — Fitbit Coach is pretty great for some hotel room HIIT. You can even do it in your pajamas and no one will judge. One feature I was excited about was the new, customisable clock faces, which can be designed by outside developers. One such design by Fitbit Labs is Fitbit Pets, which is exactly as it sounds: a little Tamagotchi-style cat or dog that sits on your screen. The more steps you accrue, the more treats you can feed it. Forget to feed it and your pet runs away. It’s rather rudimentary and you can’t even pet it, but the cute little character certainly adds a bit of motivation to your day. When will NFC payment be available on the Fitbit in Hong Kong? The Ionic also allows for Fitbit Pay, which means that soon you can leave your wallet at home too during your run, by connecting to your wallet within the Fitbit app. However, Hongkongers should take a seat: this feature is currently only available with select banks in 15 countries including USA, UK, Australia, New Zealand, Canada, and Singapore — the only place it’s available in Asia. Who knows when Hong Kong banks will open up to another digital mode of payment, when they’re busy with the likes of Apple Pay, WeChat Pay, AliPay and the countless others coming out of the woodwork? When setting up the Ionic, I discovered just what a blessing and curse (respectively) good or bad Wifi can be. A decent signal is crucial. I struggled for a stable connection to my router at home, as well as the default one at work (I had to go to the other side of the office to use our other team’s internet signal). Whether it’s a problem of restrictive routers, shoddy antennae in the Ionic, or just crappy signal, I can’t discern. But everything — transferring music, updating the OS, even setting up the watch for the first time — took me several tries. Even bluetooth connectivity to my Powerbeat wireless headphones were, in the words of a true millennial, ‘spotty AF’ and kept connecting and disconnecting until I found a good sweet spot. I found what helped was that you can’t have too many devices around you while you’re trying to connect — which sounds like a profound metaphor for the state of humanity in 2018. Back on that note about forward thinking, the Ionic is prepared for even neater features: it’s equipped with red and infrared light sensors, which may eventually let Ionic track blood oxygen levels, which is fantastic news for people who suffer from sleep apnea — positioning the smartwatch between handy medical device and consumer smartwatch. But it goes hand in hand that that’s one of the major problems with the Ionic, at least in Hong Kong: It promises a lot in the future, but it hasn’t gotten up to speed with the rapid-fire demands of digital pay, intuitive and versatile sport tracking, and it doesn’t have the compatibility to integrate with the world’s best apps for that kind of stuff. Millennials are spoiled with the breadth of technology out there, and things should just work. But for those who don’t want to succumb to the cult of Apple, despite its early-stage glitchiness, this smartwatch is the best one there is. 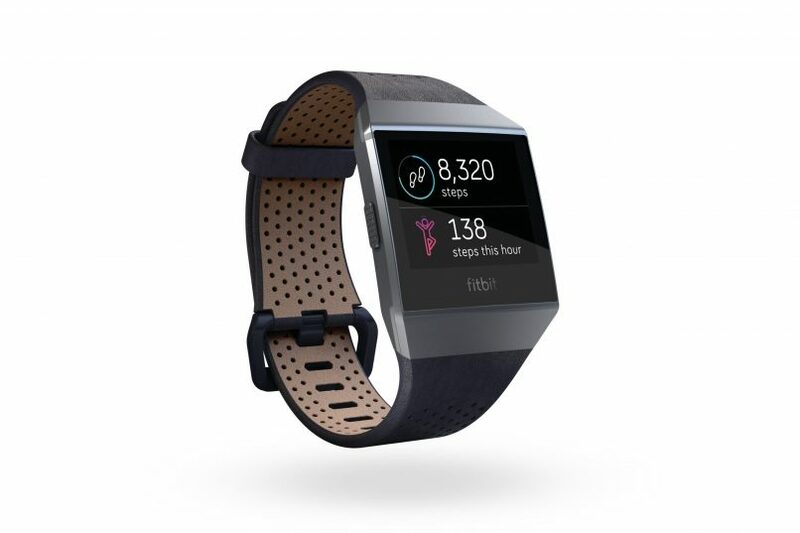 The Fitbit Ionic sells for HK$2,598 (RRP) at Lane Crawford, City’super LOG-ON, and electronics stores citywide.